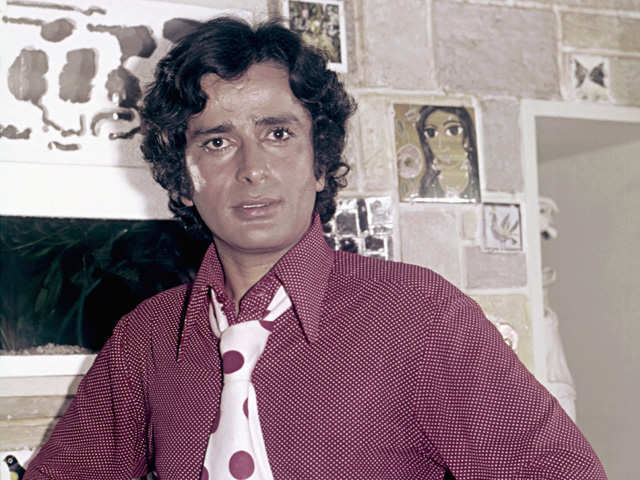 Mumbai, Dec 5: Bollywoods ultimate "charm house" Shashi Kapoor had the stage set for him to follow the Kapoor legacy. Though he was a mainstream actor and dd the "running around trees"roles, he chose to strike out a different path by backing films like "Junoon", "36 Chowringhee Lane" some of which turned out to real landmarks. Shashi Kapoor, who passed away at the age of 79 on Monday after a period of hospitalisation, remained peculiar about pushing his envelope towards hard-hitting cinema through his career. His first production venture, "Junoon" (1978 film), was very well depiction of the India's War of Independence of 1857. His efforts in the film were rewarded with multiple National Film Awards including the Best Feature Film in Hindi in 1979. As a producer, he continued this streak with 1981 crime drama "Kalyug" and "36 Chowringhee Lane", which featured his wife and late British actress Jennifer Kendal as an Anglo-Indian teacher. "Vijeta" (1982) and "Utsav" (1984) were his other projects as producer. While he only directed Amitabh Bachchan starrer 1991 film "Ajooba" in Bollywood, in early days of his career Shashi Kapoor worked as assistant director in films like "Post Box 999", "Guest House", "Shriman Satyawadi", "Dulha Dulhan" and "Manoranjan". He went away from limelight after Jennifer's death in 1984.